My neutropenia was caused by medications. ANC (absolute neutrophil count) was 1.23 in March 2015 and 1.18 in April 2016 which qualifies as a mild neutropenia. I suspected it may be due to medication and was able to discontinue my blood pressure medication and daily baby aspirin with the approval of my physician (a 10 lb weight loss helped to bring my blood pressure to a normal level). After being off the medications for 3 months I rechecked my ANC in July 2016 and it is now normal at 1.8. I currently take probiotics and a variety of vitamins daily. I"ve had neutropenia for a number of years. The worst time for me is winter where I am sick with viruses for about 3 months on and off. My doctor and dietician have encouraged me to eat a healthy plant based, whole foods diet, as well as staying away from populated areas like shopping centers and schools over the colder months, getting plenty of rest and fluids and washing hands regularly. After 3 months on a plant based diet, I noticed the length and severity of the viruses shortened a little and I"m not as bed-ridden as I was. My red blood cell count (among other things) has also improved and I"m in the middle of the normal range for the first time in years. Another benefit of my diet change. I went to bed and fell asleep for 4 hours. Later I woke up on the floor with all the covers displaced. I tried to get up but only to fall, though I could prop up on my elbow without falling. I slept on the floor for 3 1/2 hours before I could sit up. I was falling and feeling dizzy the next day. I was diagnosed with cyclical neutropenia after repeated abscesses under my arm and on my back, then strep throat. By this time the hematologist was having me do CBC blood work twice a week. I have never had chemo or cancer for that matter. So it is unclear as to why I got neutropenia. I am on weekly self-injected neupogen. It has helped with the infections. I stopped taking it for three weeks and manifested abscesses again. SO it looks like it may be a lifetime thing. My husband's white blood count had been dropping for years. He was diagnosed with MDS, his form is neutropenia. He was treated with neulasta once a month for 16 months until it caused his spleen to enlarge and had a threat of rupturing. They have discontinued the Neulasta and he started this week on a Chemotherapy drug called Vidaza - which is supposed to target the bad white blood cells, hopefully get rid of them and let the good ones to grow. 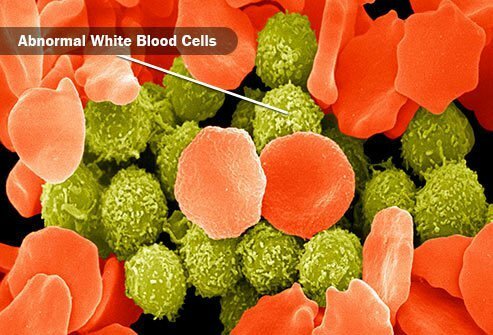 I have recently been diagnosed with Neutropenia after having low white blood cell count most (if not all) of my life. After a bone marrow biopsy, shots of Neuprogene (sp? ), and multiple blood tests, my doctor has determined that this is just the way I am. Other than being fatigued (and this could be from anything), I feel fine. I get occasional mouth sores, but am a pretty healthy person overall. Take heart. If I hadn't been diagnosed for a sinus infection, I would have been none the wiser. My daughter has always had bad staph infections in the diaper area. Recently, she had strep throat and had a fever for more than a week. She was hospitalized and was diagnosed with neutropenia. Now they have no answers and no plan of care. My brother has recently died after the doctors eventually found out what it was after 6 years on every treatment going from Chemo to shots of B12. The last one before he went into the IVU was 6000 extra calories and also direct injections into his stomach. He was in there for pneumonia and never recovered a few weeks later. He was down to around 5 stone and was a fighter. They told him that they released him from the hospital too soon and if he had been left in there they may have helped him more. It was said he had an angry cell that destroyed any white cells in his body and they couldn't do anything now. I have neutropenia. I was getting lots of infections. I'm now on Neulasta injections. They make me feel terrible for a week, but I don't get infections, so it's the better of two evils. I have had neutropenia all my life. My neutrophils are very low. I suffer mouth ulsers and strep throat a lot. I am constantly washing my hands to avoid getting germs, this helps. I also take cayenne pepper regularly, it kills bacteria. People with neutropenia cannot fight bacteria so cayenne pepper does this for us. 7 years I was admitted to hospital as an emergency following first chemotherapy with an excessive temperature and had started fitting. I was told my white cell count was immeasurable and that I was in the danger zone. I have recently found out I was resuscitated. I spent 5 days in hospital with countless medications and received 2 pints of blood and a nightly injection to boost white cell production. Once my count had recovered I discussed with my oncologists the risks of continuing with the chemotherapy and we agreed to try 50% plus the injection to boost white cell production. This was successful and I had no further adverse reaction. What symptoms did you experience with your neutropenia? In addition to blood tests, what other types of tests or exams did you have to determine the cause of your neutropenia?